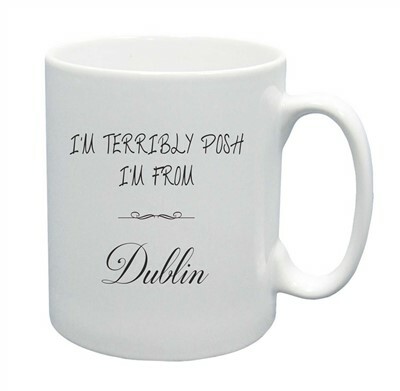 I'm Terribly Posh I'm From..... mug - suitable for everyone!! You may also like our matching box of 10 teabags. If you like we can change the text after I'm Terribly Posh to something of your choosing e.g. I'm Terribly Post I drive a Massey, simply enter your requirements in the comments box.